This one bedroom apartment in New York was remodeled by Manifold Architecture Studio into a more convenient living space. The original plan had a small bathroom and a narrow hallway, two living rooms and a spacious kitchen while the bedroom overlooked the street. The project was to make the most of the space, so the architects repurposed the rooms and added all the necessary elements that were missing. 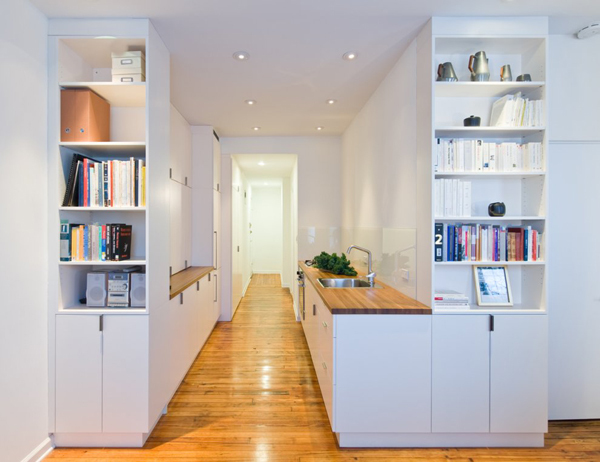 Downtown of New York is a noisy place so the architects moved bedroom into the kitchen and the kitchen into the area between the hallway and a living room. 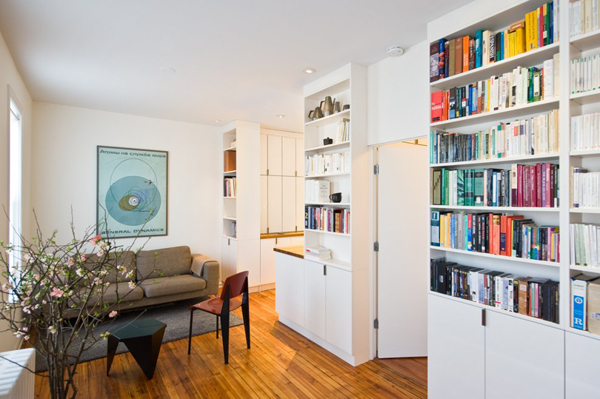 Thus the original living area became more spacious while the hallway is simply flows into a walk-through kitchen. The bedroom is in the depth of the apartment which allows both privacy and sound sleep. The kitchen features two countertops and hidden storage. 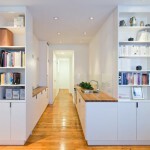 The kitchen design is minimalist and very sleek. 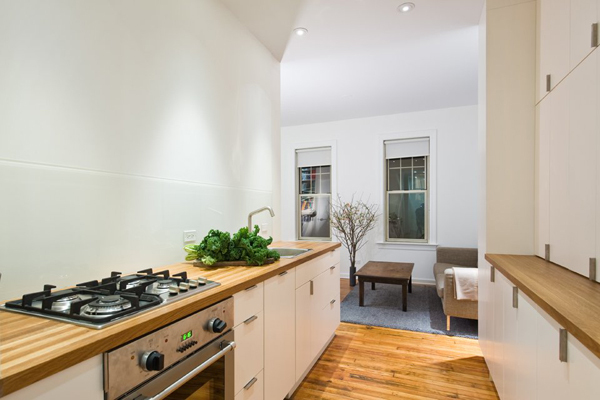 There is a stove and a sink at one side and cabinetry on the other. Since the bathroom was small, so the studio remodeled it to make it more spacious while the living room now also features a dining area. 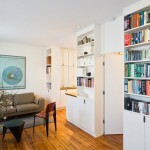 The walls in the living area were turned into storage walls, which now feature bookshelves and cabinets. 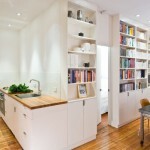 This is a great remodel project that considered the needs of their clients. Since the apartment is in pre-war building the old plan didn’t meet all the necessary criteria. 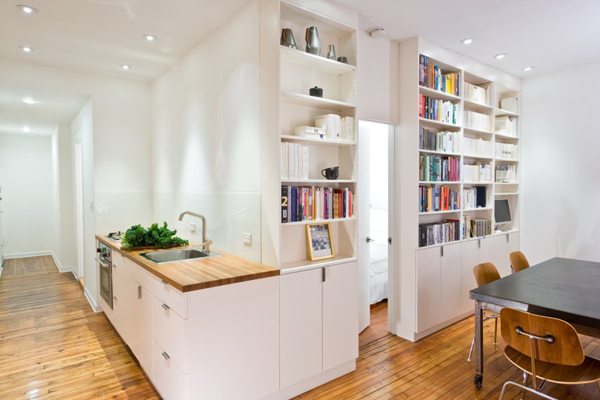 A walk-through kitchen may not always work but in this case it allowed the architects to expand the bathroom and include a sink as well as create a great connection between kitchen and dining space. What do you think about this remodel project?